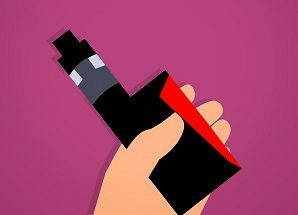 The Food and Drug Administration (FDA) has issued a policy designed to reduce underage vaping by restricting how and where flavored e-cigarettes are sold, The Washington Post reports. The policy limits sales of e-cigarette products such as cherry and bubble gum-flavored liquids to stores that bar minors or have separate sections for adults. The policy also requires online sellers to tighten age verification and reduce bulk sales. The new policy does not apply to tobacco, menthol or mint flavors unless they are sold in a way that targets minors. “Ultimately, we expect these steps designed to address flavors and protect youth will dramatically limit the ability of kids to access tobacco products we know are both appealing and addicting,” outgoing FDA Commissioner Scott Gottlieb said in a statement.